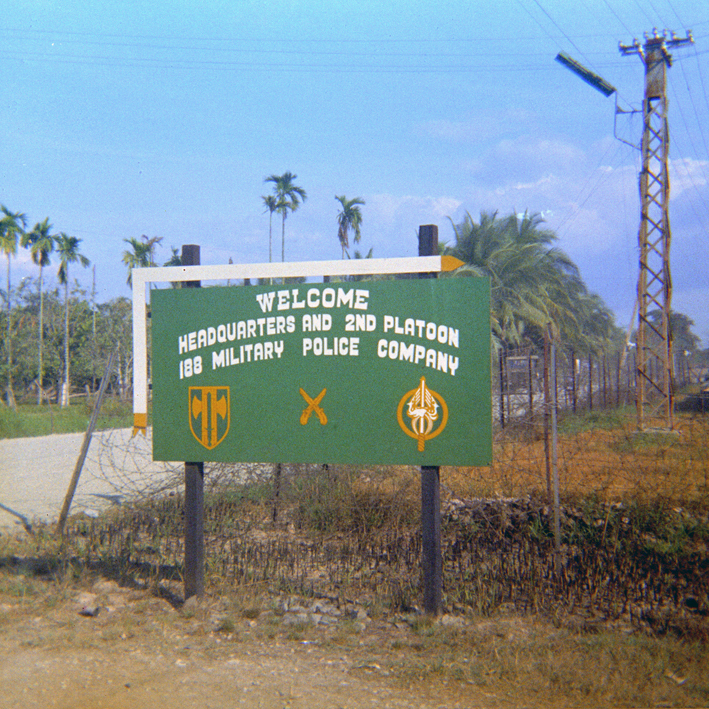 The entrance to the MP compound outside Vinh Long in December 1969, before completion of the sandbag fortifications and bunkers. The “MP villa” in QL 4 is based on this compound, although the book’s version is different in some respects. While the story told in QL 4 is a product of the author’s imagination, the setting and some of the incidents described are based on fact. In 1969–70, the author was stationed outside Vinh Long, the district capital of Vinh Long Province, located on a major branch of the Mekong River. The location of the novel is loosely based on Vinh Long and the area around it, but with much literary license to fit the story.